My nest art quilt show in running this September at the Second Story Gallery in Camas, WA. It is a joint show with Wilson Cady and his paintings of the Columbia Gorge and areas nearby. The staff of the gallery is so wonderful and they did an amazing job of hanging this show to blend all of my 19 art quilts and Wilson's paintings. The opening night was on September 2nd, which turned out to be a rainy night -- one of the few during the last couple of months! We had a great turnout anyway, and the musician was perfect. Nice food, nice company. It was a great night. 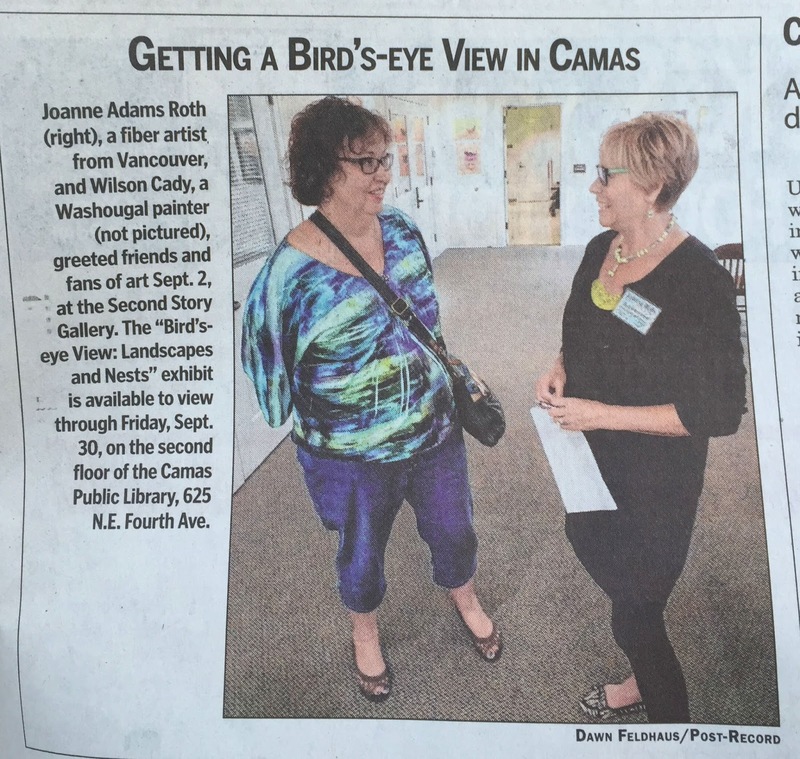 I even got a little picture in the local newspaper. I hope you get a chance to see the show! The grands and I went to the show today and we were really impressed! The girls delighted in "finding" all the nests and I wish you could have heard them shriek with delight over each one. I was impressed at how your art blended. The layout was terrific. Great show and wonderful that you have a "clipping" to prove it happened!! !